The BFI is taking Britain to the dark heart of film with Gothic, this year’s BFI blockbuster project celebrating one of Britain’s biggest cultural exports as revealed through four compelling themes: Monstrous, The Dark Arts, Haunted, and Love is a Devil. As part of this celebration of the macabre, the BFI is releasing a lavishly illustrated publication called: Gothic: The Dark Heart of Film. It will feature a range of new articles exploring the extraordinary and enduring appeal of Gothic cinema. The essays are written by some of the Gothic’s leading filmmakers, scholars and critics, including Kim, Guillermo del Toro, Mark Kermode, Sir Christopher Frayling, Marina Warner, Roger Corman, Mark Gatiss, Reece Shearsmith, Ramsey Campbell, Anne Billson, David Pirie, Jonathan Rigby and Roger Luckhurst, among many others. 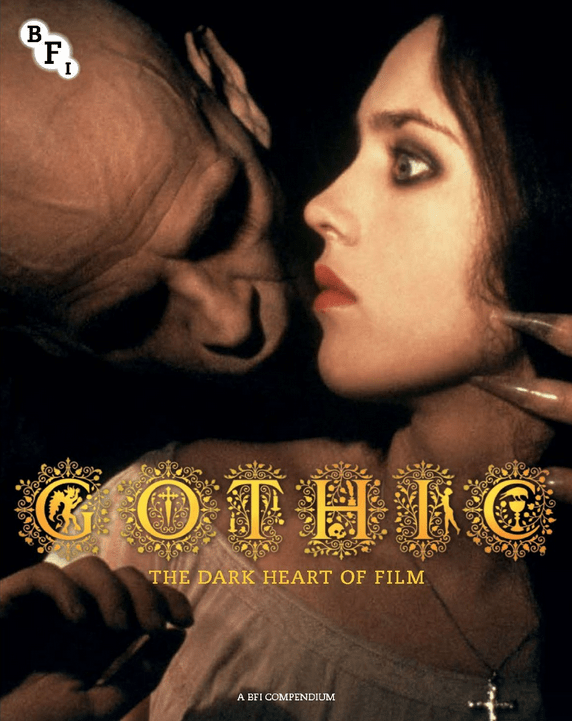 The new BFI publication Gothic: The Dark Heart of Film, featuring new essays by filmmakers and scholars such as Kim, Guillermo del Toro, Sir Christopher Frayling, Marina Warner, Roger Corman, Mark Kermode, and Anne Billson.